is the question that is answered in Part 1 of the interview with Swami Santhiprasad about School of Santhi’s Yoga Teacher Training in Kerala, South India. Welcome to School of Santhi Yoga School in India! We are a traditional Yoga School for serious spiritual seekers, guided by Swami Santhiprasad, our spiritual leader and inspiring Yoga Master and Guru with over 50 years of experience studying, practicing and teaching Yoga. Become a professional Yoga Teacher! Welcome to India the home of Yoga. Join our Traditional Yoga Teacher Training in India for serious spiritual seekers. Become a professionell Yoga Teacher under the guidance of Swami Santhiprasad and his experienced Indian Yoga Masters and Yoga Teachers at School of Santhi Yoga School in Kerala, South India. We are recognized by Yoga Alliance USA at level RYS 200, RYS 500 and recognized by International Yoga Federation at level IRYS 200, IRYS 500. Questo film è una breve introduzione al nostro corso di 900 ore di Yoga Teacher Training in 3 livelli, girato in Kallar, Trivandrum, Kerala, India del Sud nel mese di gennaio 2012 con il livello 1, TTC 200 per studenti, che dopo l’esame saranno pronti ad iniziare ad insegnare Yoga loro stessi. 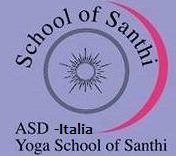 Buon divertimento e benvenuti alla Scuola di Santhi Yoga School in India!